Looking for senior independent living in Sioux Falls? At Trail Ridge, our independent living apartments offer you a lifestyle with a wide variety of social, educational and recreational programs. Choose from activities that include wellness classes and book groups to lifelong learning sessions, theater outings and arts and entertainment in our Great Hall. 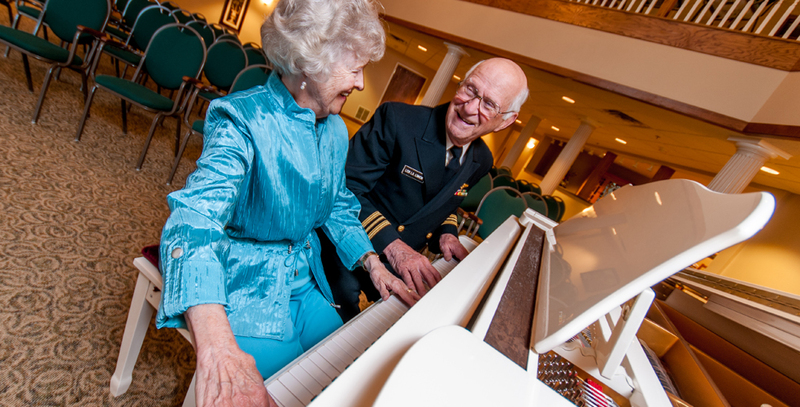 In a continuing effort to enhance and expand our independent living programs, we listen to residents’ feedback and develop activities that complement current interests as well as help discover new ones. What really sets the independent living community at Trail Ridge apart are the people. Our residents create a sense of community and belonging, made stronger by both similar and diverse life experiences. Add our experienced staff members who are committed to making a difference in the lives of the residents they serve, and you truly feel the warm lifestyle of Trail Ridge. Click here to view an online booklet showcasing one of our independent living apartment homes. With over 20 independent living apartment styles, Trail Ridge residents enjoy unique and spacious apartment homes with elegant common areas, as well as numerous concierge and resident services that assure their comfort and satisfaction. The lifestyle is yours to create — we help you make the most of it. Browse our independent living one-bedroom and two-bedroom apartment home floorplans. See our full list of on-site amenities. View our Independent Living decision guide. Click here for a fly-thru video tour. The independent living community at Trail Ridge offers a variety of lifestyle choices and financial options; we will walk you through the entire process and help create a plan that makes sense for you. From healthcare planning to financial planning and moving coordination, our experts are ready to assist you. 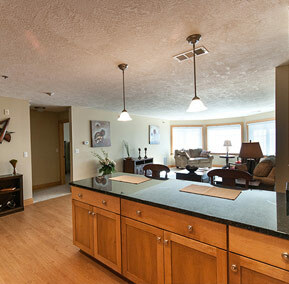 Take a tour and experience our independent living community for yourself. Give us a call today at 605-339-4748 or contact us to schedule a visit to Trail Ridge.